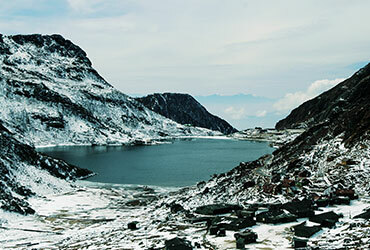 Gangtok is the capital & largest town in Sikkim. It is located at elevation of 1,650 m (5410 feet). Gangtok is nestled of the Himalayas & Monestry. It offers the majestic view of Kanchenjunga (the third highest peak of the world). It offers all the possible amenities for the tourist & attractive tourist destination. Hotels, Shopping complex, cyber cafes, night clubs, pool parlours & variety of eateries cuisine. Gangtok also bustles like any other thriving town. Some of the key places to visit include Rumtek Monastery, Do-Drul Chorten, Enchey Monastery, Tashi View Point and the local bazaar, Lal Bazaar. The heart or a main hub of Gangtok is MG Marg, the famous & main street is a great place to chill out. It is like a long stretch of open mall or boulevard square where locals and tourists take leisure stroll or just sit and relax on one of the many benches laid along the middle and both sides of the road to soak in the ambience. The entire area is free for litter, smoke, split & Vehicular Movement. 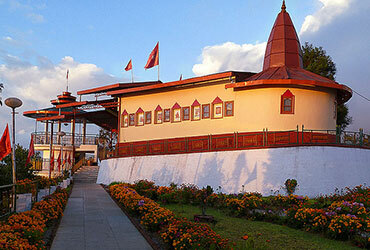 Gangtok and its surroundings offers majestic attractions and activities to see. It need to stay of 2 to 3 nights in Gangtok to cover all the places. But if you plan to stay longer, there are plenty more to see & keep you busy. Here are the most attractive points to be covered. Another name Changu lake - This is a beautiful glacial lake in east Sikkim located about 40 kms from Gangtok and at an altitude of 12,310ft. Its name means "source of water". Its is of 50ft & is surrounded by hills. It's a stop over grounds for migratory ducks, and has Alpine vegetation and flowering plants surrounding it. Over all a picturesque setting. There are shops and food stalls around. One can have a yak ride in direct payment basis. Baba Harbhanjan singh Mandir, an Indian army soldier who died near nathula during sino – Indian war on 1965. There is a strong belief that water kept in the shrine of Baba gains healing property and turns into sacred water that can cure all possible ailments. This blessed water is needed to be consumed within 21 day and in this period, no family members of the ailing person is supposed to have non-vegetarian food. 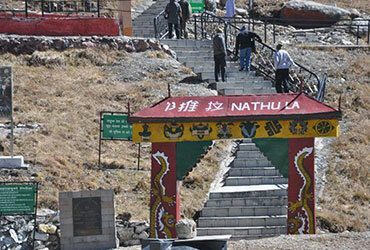 It is a Indo – China border & it was to be major passage between India & Tibet. Its world highest passes accesable by tourist via road. Its other side is Chumbi valley of Tibet.It is marked as entrance gates of India & China. It is also call Dharmachakra centre. It is a largest monesteries in Gangtok. It took 4 years to complete. This place having great enthusiasm. Its humoristic style is awesome. 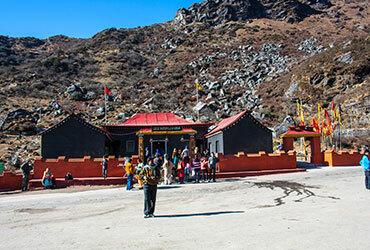 A temple of lord Ganeha & lord Hanumana, One can come here to offers prayers & next enclosing the majestic views of gangtok town rolling hills & snow capped mountained including Kanchenjunga. 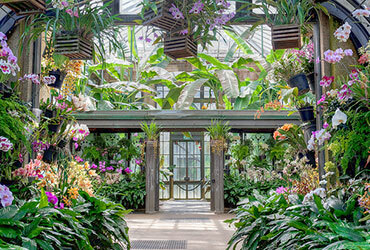 It is famous for its rare and extensive collection of orchids. The sanctuary’s collection also varies depending on the seasons. Its has almost 458 species of orchid in Sikkim. 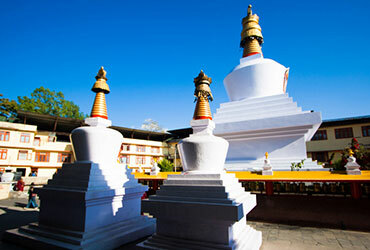 It is regarded as the most important stupa of Sikkim. Built in 1945 by Trulshi Rimpoche, head of the Nyingma order of Tibetan Buddhism, this stupa also has sacred gold-topped shikhara with 108 prayer wheels. This highly revered Chorten is also characterised by complete mandala sets of Dorjee Phurba (Bajra Kilaya), a set of Kan-gyur relics ( Holy Books), complete Zung( mantras) and other religious objects. 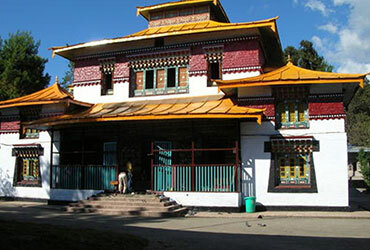 The Chorten also has two huge statues of Guru Rimpoche (Guru Padmasambhava) around it. 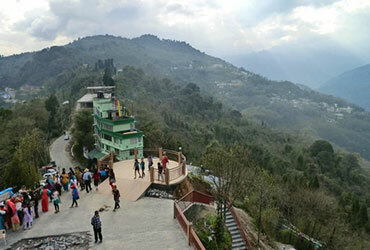 Tashi Viewpoint is set in the midst of beautiful scenic views, and is the perfect place to look at the abundant natural panoramic bounty of Sikkim. On clear days, Kanchunjunga is clearly visible and visitors can also see the Labrang Monastery and Phodong Monastery on the opposite hill. A small shed and café serves the visitors and over a period of time, has become a popular picnic spots. 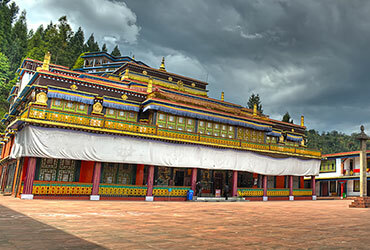 The Enchey Monastry is built on the site blessed by Lama Druptok Karpo, a Tantrik Master known for his power of flying.An Important seat of Nyingmapa order. This is also one of the great training and learning centre for the Lamas( Priests or the Religious guy). It is located 4 kms away from town. It lies a lush green valley spread all around. 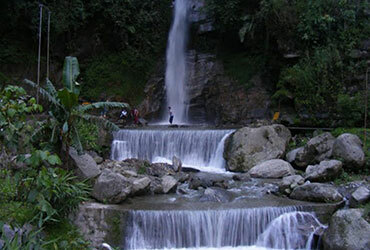 It originates from Ratey Chu, the main water source of Gangtok area. Suggested to visit with a view to relax and to take photographs.